The 2020 Grand Alignment is coming. Why we are interested in it now? The grand alignment of Pluto, Saturn, and Jupiter in the late degrees of Capricorn occurs from March 21, 2020, through December 14, 2020. Pluto brings transformation, Jupiter expansion, and Saturn durability and stability. The last time these three planets aligned in Capricorn was 1285, which was followed by the Renaissance Period. I believe we will experience another Renaissance era, as we usher in the age of Aquarius. In the summer of 2018, we began to feel the influence of this coming grand alignment. We now find ourselves at the precipice of a new foundation for a new age. While 2020 seems a ways off, the autumn equinox on September 22 forms a square to Saturn and an inconjunct to Uranus asking where are we out of balance and what we need to do to form a new foundation and take full advantage of the upcoming 2020 grand alignment. Option #1. Individual 60-minute reading: $150. Best option if you have never received a personal reading from Kelly. Option #2. Individual 30-minute reading: $85. Best option if you received a reading a while ago and want an update. Option #3. Individual 15-minute reading: $50. Best option if you recently received a reading and have a question. Option #4. Couple/Partner 60-minute reading: $225. 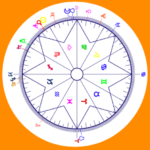 Learn more about other astrology reports. To book your reading with Kelly, click on the desired reading or report above and add it to your cart. Complete check out. Then complete the contact form below and provide astrologer Kelly with the exact birth time and location (usually shown on birth certificate). This information is necessary for Kelly to prepare for your reading. Kelly will never share or save your personal information and will apply it only during your astrology session. Kelly will contact you as soon as possible to schedule your reading. To prepare for your reading, please email Kelly your information to lifepurposeastrology99 at gmail dot com . Kindly change this email address to the standard format before sending. If you have not received a response from Kelly within two business days, please check that you typed the email address correctly. Find your purpose, answers to questions, and best timing with a personal astrology reading. Kelly’s unique insights can help you take the guesswork out of major decisions in life. Each person is born with a unique set of planetary influences, and astrologer Kelly Davidson specializes in helping people understand and use this information to overcome challenges, find opportunity, and create a more satisfying, soulful life. First Reading, Best Value: Individual, comprehensive 60-minute reading: $150. Best option if you have never received a personal reading from Kelly. Follow-up Reading:. Individual 30-minute reading: $85. Best option if received a reading a while ago and want an update. Personalized Reading – Comprehensive in person/over-the-phone reading, includes chart; 60 minutes $150 or 30 minutes $85; couples’ 60-minute reading $225. Solar Return Report – Having a birthday? Know what your next year is going to be about. Child’s Astrology Report – Just had a baby? Helps parents know and understand their new child. Couples’ Compatibility and Relationships Report (Synastry Report) – Have you met someone and want to know about your compatibility? Or is your marriage/relationship not working out, and you want to know why. Also be useful for friends and business partners. Health and Wellness Report – What’s going on with your body and health? Very helpful to people who are body conscious and looking for information about their health. One Year Transit Report – You know some astrology, and you want to know what the planets are doing in the next year. To book your reading with Kelly, click on the desired reading or report above and add it to your cart. Complete check out. Then complete the contact form below and provide astrologer Kelly with the exact birth time and location (usually shown on birth certificate). This information is necessary for Kelly to prepare for your reading. Kelly will never share or save your personal information and will apply it only during your astrology session. 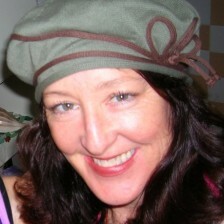 Kelly will contact you usually within 24-48 hours to schedule your reading. This summer we began to feel the influence of this coming grand alignment. We now find ourselves at the precipice of a new foundation for a new age. While 2020 seems a ways off, the autumn equinox on September 22 forms a square to Saturn and an inconjunct to Uranus asking where are we out of balance and what we need to do to form a new foundation and take full advantage of the upcoming 2020 grand alignment. What might the astrology of the upcoming equinox bring into our lives? Uranus is synonymous with freedom and ingenuity, while Taurus rules money and earthly sensuality, such as gardening, cooking, and living in way that deeply in touch with mother earth. Add to this Saturn in Capricorn energy, and we can expect a new way of living that has strength and stability to last the ages. This is a very favorable time to begin new businesses that are sustainable and trending toward a more balanced future. Uranus in Taurus brings in other ways of dealing with the foundation of modern life, such as money and housing. We may see alternatives to standard currencies and new forms of building. We can expect environmentally conscious homes and many people to be growing food hydroponically, creating their own eco-friendly environment. One household may fish and another grow corn, and they exchange in mutual support. Kelly held a workshop about the 2020 Grand Alignment in Portland’s New Renaissance Bookstore on September 22nd. The event was personalized, and attendees had a chance to learn how the grand alignment affects their individual lives. A video recording will be posted here soon. Missed it? More workshops will be coming soon. Check back here again soon. Can’t wait that long? Request a reading with Kelly about how the 2020 Grand Alignment impacts your life. Sun 06° Taurus 08' 27"
Moon 03° Aquarius 19' 31"
Mercury 12° Aries 59' 29"
Venus 07° Aries 15' 56"
Mars 17° Gemini 21' 46"